Dubai, UAE, October 25, 2016: Swedish home furnishing retailer, IKEA - part of Al-Futtaim group of companies – commemorates 25 years since welcoming visitors to its first store in Karama, Dubai, UAE in 1991. Built on the vision of creating a better everyday life for the many people, IKEA offers of a wide range of smart and functional home furnishing solutions at affordable prices for the many. The successful launch and enduring popularity of the brand has cemented IKEA’s place as one of the leading brands in the region’s home furnishing retail landscape. 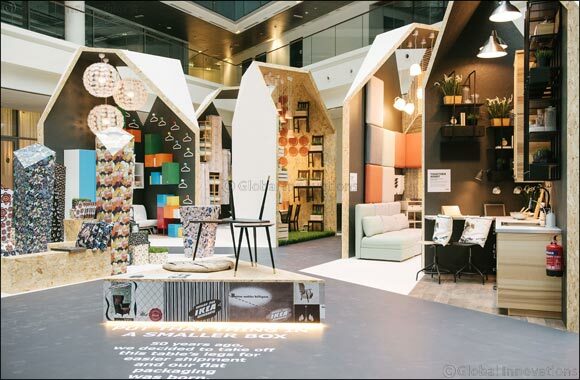 The Life@Home exhibit is reminiscent of IKEA’s journey globally, and right here in the UAE over the last quarter of a century. Taking a walk through the past, there’s a look back on IKEA’s history – where it all began 73 years ago – and its Swedish roots. A reflection on the present is clearly showcased through IKEA’s Democratic Design concept – which ensures five key elements: quality, affordability, functionality, good form and sustainability, when designing and manufacturing IKEA products – all clearly defined in a vast Democratic Home which is built as a key attraction within the exhibition. And looking towards tomorrow, what better way to approach design of the future than discovering living trends of the future through IKEA’s life at home report – which delivers a better understanding of people’s needs, aspirations and dreams for a better everyday life at home. “This is a very exciting time for the IKEA and the Al-Futtaim group. With parallel core values, a strong people-focused approach and a dedicated team of coworkers, together we have been able to grow and develop the IKEA brand within the UAE over the last 25 years – a feat aptly mirroring the vast and rapid development of the country. Over the years the biggest and most valuable contributor to the success of IKEA in the region has been the people – whose homes we’ve been welcomed into, to share our home furnishing knowledge. The residents of the UAE inspire us to constantly strive for better ways of doing things, and we would like to sincerely thank you for your continued love and trust in the brand”, continues Vinod. As part of the ongoing celebrations, the IKEA stores in Dubai Festival City, Yas Island Abu Dhabi and Bawadi Mall Al Ain have planned exclusive products deals, cash back offers and new specialty dishes at the IKEA restaurants; together with a host of family friendly activities that includes home furnishing master classes, children’s craft workshops, cooking classes, games with prizes and entertainment.